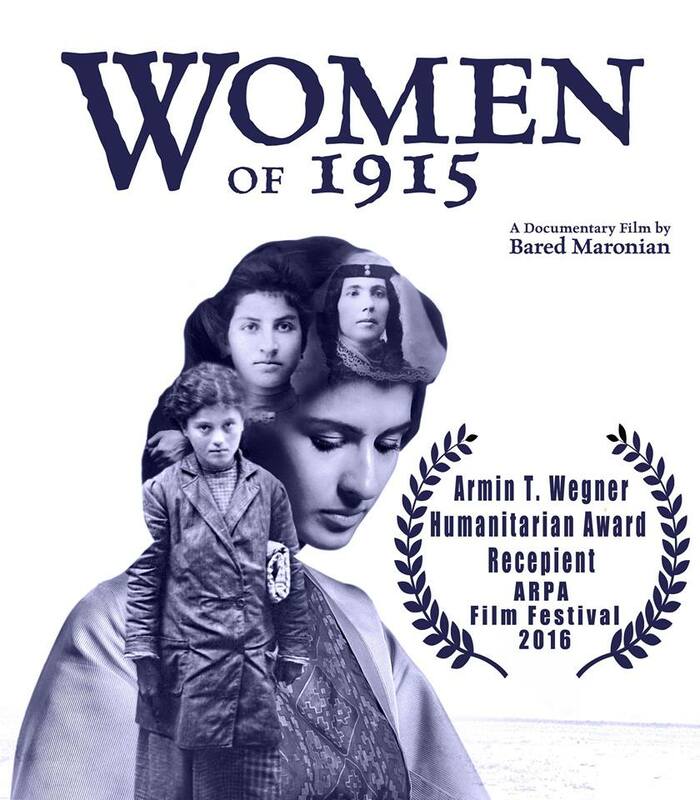 The 34th annual Holocaust and Genocide Lecture Series at Sonoma State University presents the Bay Area premiere of the 2016 Regional Emmy Award-winning documentary "Women of 1915," which chronicles the plight of Armenian women during the Genocide and the non-Armenian women who came to their rescue, Tuesday, Feb. 28, 4 p.m., in Warren Auditorium at Ives Hall, Sonoma State University. The screening includes a presentation by filmmaker Bared Maronian. This lecture is underwritten by the SSU Armenian Genocide Memorial Fund. Admission is free, parking is $5-$8 on campus. The lecture series continues through May 9, with highlights including talks by Rabbi Michael Berenbaum, professor of Jewish studies at the American Jewish University in Los Angeles, and Dr. James Waller, the Cohen Endowed Chair of Holocaust and Genocide Studies at Keene State College. On March 28, Rabbi Michael Berenbaum speaks on the topic "Between History and Memory." Berenbaum is the Director of the Sigi Ziering Institute: Exploring the Ethical and Religious Implications of the Holocaust, and a professor of Jewish Studies at the American Jewish University in Los Angeles. He is the author of over 20 books, and executive editor of the second edition of the Encyclopaedia Judaica. Berenbaum was also project director for the creation of the United States Holocaust Memorial Museum and the first director of its research institute. His work in film has won Emmy Awards and Academy Awards. Dr. Berenbaum's lecture is the annual Robert L. Harris Memorial Lecture and is underwritten by the Alliance for the Study of the Holocaust and Genocide, an SSU Academic Foundation Organization. On April 4, professor James Waller, Ph.D., the Cohen Endowed Chair of Holocaust and Genocide Studies at Keene State College and director of academic programs with the Auschwitz Institute for Peace and Reconciliation, speaks on the topic "Becoming Evil." Waller's books include "Becoming Evil: How Ordinary People Commit Genocide and Mass Killing," and "Confront Evil: Engaging out Responsibility to Prevent Genocide." This year marks the first time the archive of the Holocaust and Genocide Lecture Series is available on YouTube. Videos of lecture are currently available from as far back at 1987. Below is the full schedule of the 34rd Annual Sonoma State University Holocaust and Genocide Lecture Series, January 24-May 9, 2017. Lectures are Tuesdays 4-5:50 p.m. in Warren Auditorium at Ives Hall at Sonoma State University. Admission is free, parking on campus is $5-$8. A full schedule of the 2017 Holocaust and Genocide Lecture Series is also available at http://www.sonoma.edu/holocaust.